Cinema HD is the best available Android Movie app for your Android TV or Smarphone. This app is completely free and easy to use. Since Morpheus and terrarium has came to stop this is the next best available option that I see. Because this app is simple and has the features we want. 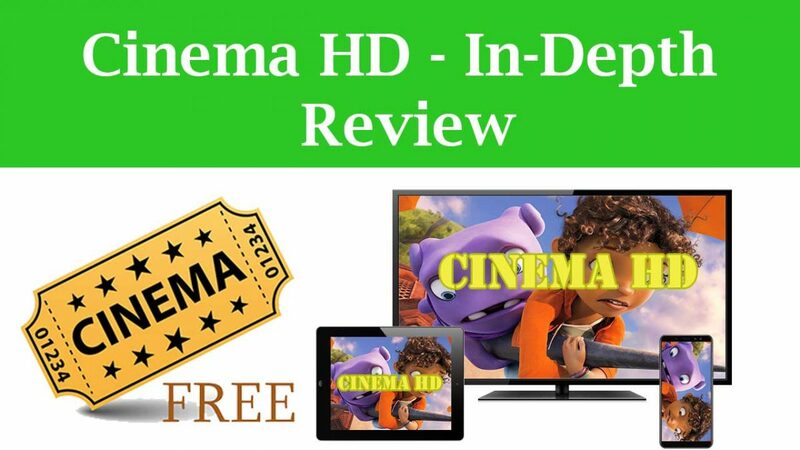 What is Cinema HD ? Cinema HD is basically a Android application developed to watch TV series and Movies for free. Best alternative or killer app for Morpheus and Terrarium apps. If you has use any of those then you are familiar with this app. Simple and easy to use interface. You watch Movies and TV series for free using your TV, Tablet or Smart phone. Cinema HD Comes with many features. Here some of the main features will be discussed. You can watch Movies and Tv shows in high resolution. This app provide High Definition (HD) content. Some of the other resolution options available are 1080p, 720p, HQ and etc. You can select the video quality you want and download. So that you can watch any Movie or TV show offline. This feature is very useful if you have slow internet connection or you can download many movies you want when you have free WiFi. Cinema HD is integrated with many streaming Sources. So you can select which streaming source you want from there. Contain many options including where file was hosted, video quality and provider and etc. Since Cinema HD has many Streaming sources content will be available every time you access it. If you are using Trakt then you can integrate Trakt with Cinema HD easily. Cinema HD natively supporrt Real Debrid. If you don’t know Real debrid , it is an unrestricted downloader that allows you to quickly download files hosted on the Internet or instantly stream them into an innovative web player. Cinema HD has built in video player. So no need to install any other video player. If you want you can change default video player to another video player such as YesPlayer, MX Player, VLC Player. You can watch Movie Trailer directly using Cinema HD. It has main trailer and other available trailers on YouTube at one place. Organize your Favorite Movies and TV series at one place. If you close Movie or TV show at the middle and when you come back and open it Cinema HD can play it from where you left. It keep track of your history, So you can find all the Movies and TV shows you watch using History section. It provide constant updates to cinema HD app in order to cover Security updates and user requested features.